Don`t you want to grow your blog? You should understand that the more your blog grow the more money you can make but how you can do it. You can`t grow your blog in 2019 without connecting with professional sites and without social media presence. Guest posting and content syndication are the best ways to grab more eyeballs on your blog and get extra benefits such as blogger outreach, more sharing, more leads, more sales and make more money. If you are a regular reader of eAskme, then you know that I have already shared a list of some popular blogs accepting guest posts and also the list of best content syndication tools. Ohh, Are you new to Guest Posting and Content Syndication? Guest posting is all about being guest for other blogs. There are huge benefits of guest posting. In this you create and publish content on blogs or another person. This is a really good way to expand bloggers outreach and good for brand awareness also. Content syndication is not about creating something unique, it is just the process of pushing your very own blog posts or I can say text, audio and video content to some other third party websites as a snippet, link or thumbnail and sometimes even as full article. So now you understand what Guest Posting and Content syndication is, let`s move forward. 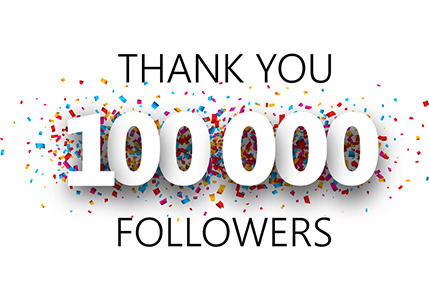 As I said that You and me we all need to grow more, so that means we need to build more and more connection and also expand the reach of our content. Keeping those things in mind, I am sharing 50+ best Google Queries for you to Find Guest posting and content syndication opportunities. 47. 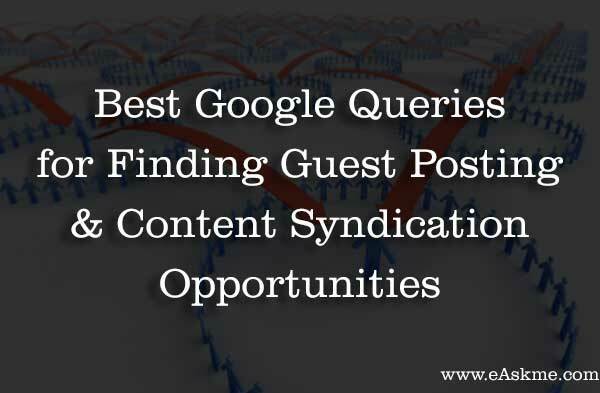 “Now Accepting Guest Posts"
So you see in this list of best Google queries for guest posting and content syndication opportunities you will find contribute article, submit article, guest posting etc. Why use best Google Queries to find Guest Posting and Content Syndication Opportunities? You may ask that why you should do search when there are list available on various blogs. Answer is simple. Every day new and new blogs are lunching, you never know which blog is ranking high in search and also gives you opportunity to share the content and get published. Using these queries will help you to easily find the high ranking blogs and sites which are also offering content syndication and guest posting opportunities. So now you have these Google Queries and I believe you will use them wisely and improve your blog exposure to gain more traffic and also to generate more leads. If you stil have any question feel free to ask me. Don`t forget to share what you like here. Do share which queries you use? How you find guest posting and content syndication opportunities?